The Oscars are about to begin. Here's a thread to discuss. Neil Patrick Harris is hosting. The red carpet hosts were unwatchable, where do they find these people? Even Robin Roberts is way too over-animated and seems phony.I hope the show is better. The red carpet is in full swing. I had to turn off E! because I don't like Kelly O. and their manicure magnifier was so ridiculously pointless. Who wants to listen to actresses talk about their nails? I'm now watching TVGN with the Bachelor's Chris Harrison. He gets better every year, and it's actually pleasant to watch with some meaningful questions about the reason for the event: the movies. I've never even heard of Seth McFarlane who is hosting tonight. A quick search of Google doesn't leave me expecting much. It's been years since a host did anything spontaneous, so it probably doesn't matter much who is hosting. Who did you think looked great? Awful? What network are you watching? Updates to follow. A first in Oscar history: Kathryn Bigelow wins Best Director for The Hurt Locker, which also won big picture. Sandra Bullock takes Best Actress on a night when Precious seemed to rule. Mo'Nique wins for best supporting actress. Jeff Bridges for best actor in Crazy Heart -- I really liked Michelle Pfeiffer's introduction of Jeff Bridges. Christoph Waltz was one of my favorite performances of the year, I'm so glad he won for best supporting actor for Inglorious Basterds. 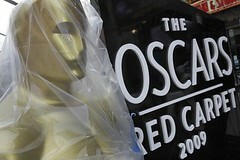 The Red Carpet at tonight's Oscars 2010 has an hour left. Who do you think looks great and who miscalculated? Too much beige for my taste, but I'm just tuning in. Sarah Jessica Parker's dress is pretty but it fits her like a sack. Sandra Bullock looks great, many think she'll win Best Actress tonight. Here are the nominees. The Oscars are beginning. Here's a thread for your reactions and comments. I won't be live-blogging, just updating periodically. Update 6:40pm: Best opening in years...since Billy Crystal. Hugh Jackman is incredible. The audience agreed, a standing ovation. I'm totally impressed. Update 6:50pm: These Oscars are not your father's Oldmosbile. The presentation of best supporting actress was so moving and personal, it was just beautiful to watch. Hollywood needs a recession more often, it's truly brought out their creative inspiration. And congrats to Penelope Cruz. As I said in the red carpet thread, I loved Vicki Christina Barelona, she was terrific (as was Javier Bardem and the other two women.) Further updates as warranted below. The Red Carpet is open at the Oscars. I think Miley Cyrus was the first to arrive. The male announcer at E! loved her dress, I didn't, it was too costume-y. His female counterpart called it "bold" but didn't sound crazy about it.The ABC folks didn't like it either. The LA Times is live-blogging. At past awards shows, they've gotten the best pix up the fastest, we'll see if that continues. I do it every year. Live blog will be below the fold, hope you join in. If you want others to see your comments, put them in this thread rather than the live blog. 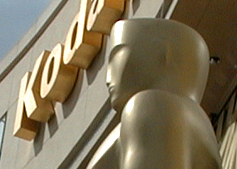 Crime and drugs may not be a big topic in this year's elections, but it is at the Oscars. "No Country for Old Men" and "Michael Clayton" scored seven nominations apiece, including best picture. Completing the list of best supporting actress nominees are 83-year-old Ruby Dee as the mother of a Harlem kingpin in "American Gangster" and Amy Ryan as the drug-dealing mother of a kidnapped daughter in "Gone Baby Gone." If you're watching the Oscars, let us know what you think. 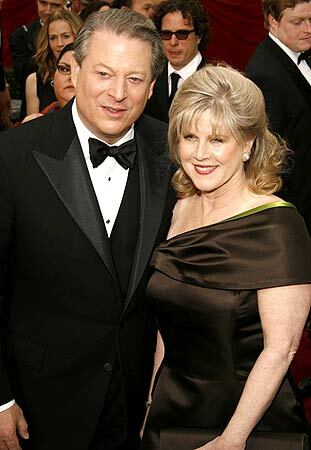 From the red carpet: Al Gore was funny -- saying his favorite singer was William Hung. Nicole Kidman's dress is elegant but a miss (unusual for her) with one of those huge bows off one shoulder. Meryl Streep looks matronly once again. I'm not a huge Celine Dion fan, but she looks great from the front. (From the side, it's not quite so great.) So does Gwynyth Paltrow, Rachel Weisz (changed my mind on them), Jada Pinkett, and Cate Blanchett. Cameron Diaz, Reese Witherspoon and Beyonce are stunning. I wasn't crazy about Penelope Cruz' dress or hairstyle -- way too severe and her ears stick out. The bottom half of her dress is all feathers. Rinko Kikuchi from Babel looked so much more grown up and really pretty. I'll be live blogging on and off, please join in. 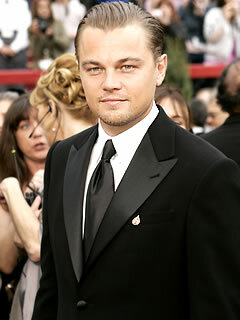 Yes, I blog about the Oscars. Every year. I'm just as interested in the clothes and the red carpet goings-on as I am in the movies. But this year, I'm also into the music. There will be performances by James Taylor, Beyonce, Jennifer Hudson, Randy Newman, Melissa Etheridge and more. 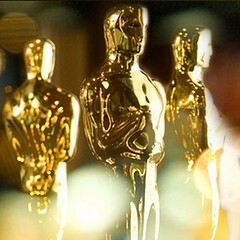 More viewers are expected this year because many of the awards, including Best Picture, are up in the air. Babel or The Departed?